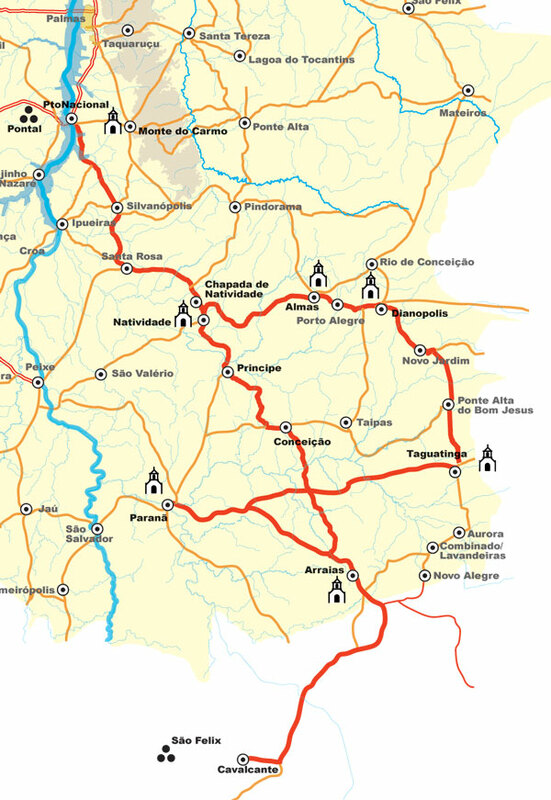 In Brazil, a useful compendium of city maps and main road networks is published by Guias Quatro Rodas http://guia4rodas.abril.com.br/, a Brazilian motoring organization, which also has guides to Rio, São Paulo and other cities, states and regions. These are easy to find in bookstores, newsagents and magazine stalls. Topographical and hiking maps are difficult to find, though very occasionally they are available from municipal tourist offices or national parks in Brazil. Streets and quarters in Palmas have no names but numbers, like in Brasilia. 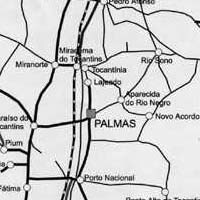 Ask your hotel for the citymap, here called Plano Diretor of Palmas. The cityplan of Palmas is very simple. Click on the picture to see in a quick view the main streets in Palmas, location of busstation and airport. On the hill in the center you see the Palace, where the 2 main streets cross. Since 2005 a Guia do Tocantins Turismo is available. It is in Portuguese. See 5 different types of toursitic highlights in the state Tocantins. 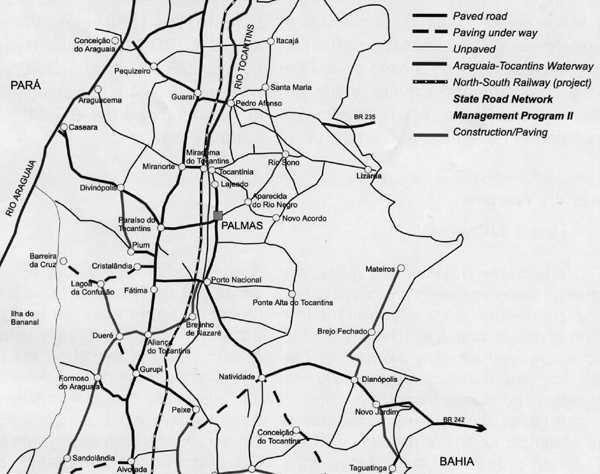 See the roads near Palmas.